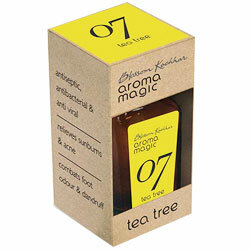 Aromamagic Tea Tree Oil - Relieves Sunburns & acne. Combats Foot Odour & Dandruff. Antispetic, Anti Bacterial & Anti viral. Antispetic anti bacterial and anti viral. Combats Foot Odour and Dandruff.